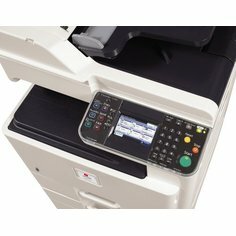 The main strengths of the newest Olivetti A3 multifunction system are: High quality hardware: motor capable of printing up to 20 A4 colour pages per minute with a print resolution of 600 dpi and standard 1.5 GB memory, enabling users to handle print queues of up to 10 users quickly and efficiently. 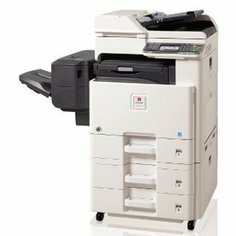 Competitive costs: low initial outlay, very low maintenance costs (thanks to its 200K page maintenance cycles), reduced energy consumption (absorption in sleep mode is just 0.9W). 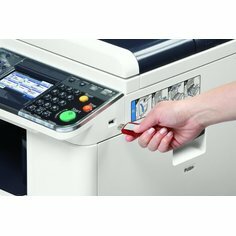 Advanced technology: d-Color MF2001plus implements the JAWS platform (Jawa And Web Solutions) and supports EasyScan 1.0.0* Olivetti, an interesting application developed by Olivetti to maximise the advantages of the scanner function in heavy-duty environments. intuitive touch screen from 4.3"